This has been my “side gig” for the past 25 years. My main leather business is VERY busy and the bag side of things needs a new home. While the products are fairly simple to make, a mildly experienced leather craftsperson can easily do most of the work. I’ve designed all the patterns and such to be made in a timely fashion for production. 1: Adler 669 (the new one) w/piles of thread, bobbins and needles, Servo, 110V, LED etc etc. 2: A new Skiver (light use) Comes with table/motor etc. Ready to work. 2.5: Tippmann clicker with compressor and dies associated with this business and product line. 3: Leather, Usually I keep 5-10 whole hides/sides on hand. 3.5: Edging machine, dyes, glues, tools for bags. 3.75: Hot press with logos for various products, stockists and such. 4: Inventory, this can be from 5-100 bags depending on the time of year, shows and delivery to shops. 5: Shop list of stockists of my products. 6: Email list of prior customers and of prospects (and a bit of guidance on how to run this). I’ll a massive email blitz prior to transfer to let everyone know about the exciting news of a new owner. 7: A clone of the website for you to run (I use Shopify) with this comes a pile of professionally shot product photos, prior ads/ad campaigns in national and international magazines and the hardcopies of all those. 8: The URL/Facebook and other accounts associated with the business. 9: Training, negotiated as to location, time and details. 10: Reasonable followup calls/support (negotiated). Please email me at andy@andysleather.com for further details. Note, this sale is only the bag business and not my other strap/sling/accessory biz. Pricing: I’ll be offering a few different levels of support and pricing for this business. #1: Spendy, mainly because I’ve spent the past two decades and half building a client base, I’ll also have to pay taxes on all this which reduces my “take”. #2 Affordable, We can negotiate a fair price, you pay me with a genuine paycheck from your company with all taxes paid (Fed, State, Local, etc). #3 Really affordable, a pile of cash. I’ll help you load everything and get the URLs, Websites and such transferred over in your name on the same day as the sale/closing. We can negotiate training here or on your site. 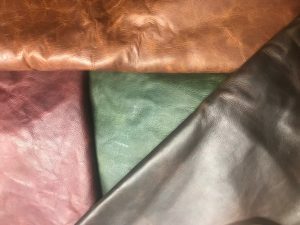 If you have previous leather working skills and a bit of web based computer experience, I can get you sorted quickly and efficiently with minimal downtime. Note: I’ll be asking for a signed non-disclosure agreement somewhere along the way and also ask for a letter of credit from a bank/lender to weed out the tire-kickers.